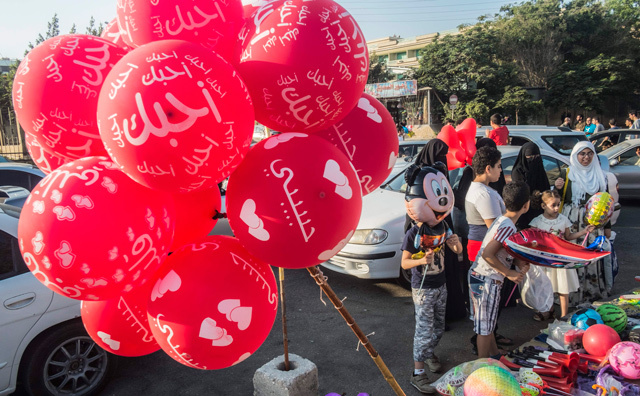 An Egyptian Muslim family buys balloons from a street vendor as they celebrate the first day of Eid Al Adha. 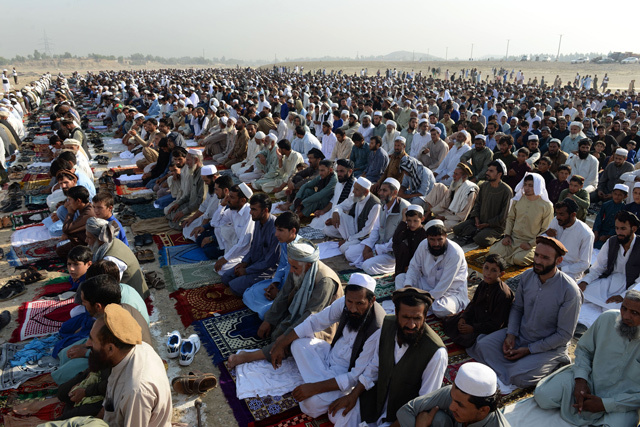 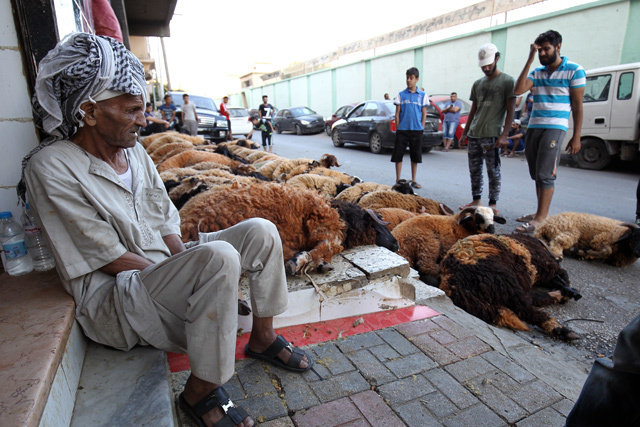 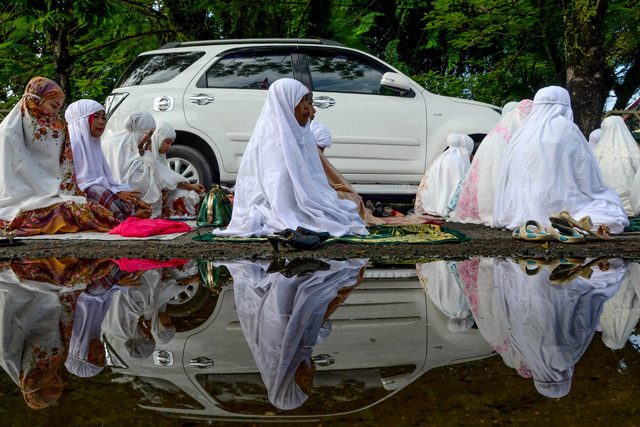 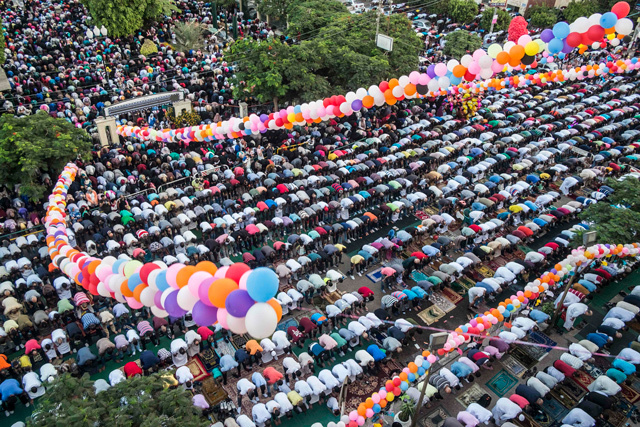 Egyptian Muslim devotees perform the morning Eid Al Adha prayer outside Al Sedik mosque. 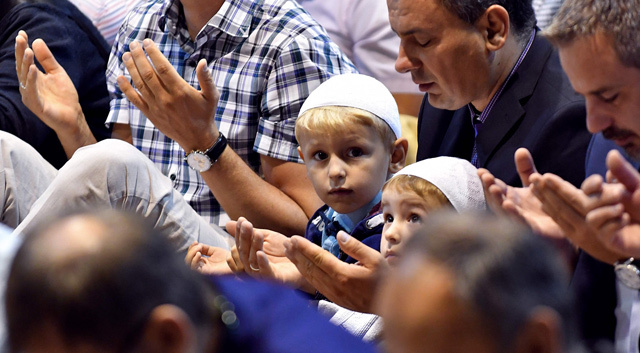 Two boys look up as Bosnian Muslims perform the morning prayer at the Skenderija sports centre in Sarajevo.